Head to Cool Springs next month for free beer, free wings and live music plus a healthy dose of geek networking. 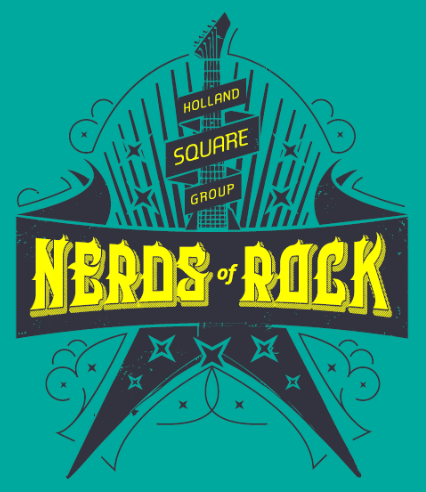 The second annual Nerds of Rock will be held on Thursday, May 8, from 5:30 PM to 10:00 PM at Wild Wing Café. Nashville Geek Jam will lay down some tunes and then you can jump on stage and jam with the band. "We wanted to put on a social event for the Nashville IT community that represented our local culture. Every other developer I know is not only a musician, but a great musician. So how better to get mingle with your neighborhood geeks than to jam and enjoy free beer and wings? Last year was a blast and this year is only going to get bigger," said organizer Tommy Norman, agile practice lead at Holland Square Group, the event's lead sponsor. Tweet about the event with hashtag #NerdsOfRock2014 and URL NerdsOfRock.com leading up to the event to be entered to win one of the main prize drawings that night. They’ll be giving away some great prizes including event t-shirts, Best Buy gift cards, 1 hour rental from Music City Dream Cars, a quad copter with video camera, and a Music Man guitar.